I just want to meet my special man. My future man should have a good sense of humor. He should be kind and passionate. Foreign women for marriage. Thousands of men all around the world at least once in their life wondered how to meet single young and beautiful foreign women who want to marry American and European men, when thousands of miles separate them from each other. Many men who set a goal of finding a foreign bride tend to search for beautiful women from Ukraine and Russia who have lots of advantages compared to ladies from other countries. For example, American and British women are considered to be dominating in their families, they are less concerned with family life and mostly see marriage as some financial convention. After classes I love to take a walk through the park to refresh my thoughts. Also beauty of nature always inspires me :) There is always a place for sport in my life. If I do not have time to go to gym I do at least some fitness at home. I'm a very creative person. When I have inspiration, I draw. I prefer spending evenings with my son. I enjoy meeting friends and working on a new culinary masterpiece. What makes women from Ukraine and Russia so desirable as a choice for marriage? They are certainly beautiful and smart, they are educated and graceful, but many other ladies are. The main answer to this question is in the foreign women's character and their mentality. Family-oriented is the right word to describe such a woman. Their life is centred around family and keeping the family hearth. Children and joys of maternity are among main life goals of almost each woman looking for foreign man for family and marriage. They are mature and wise in relationships, giving their respect and support to their men seeing them as their equals, second halves. 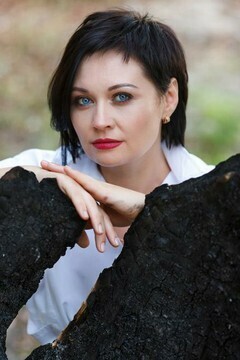 Surely, each woman welcomes financial stability in her family, but Ukrainian and Russian ladies are used to rationality and modesty when it comes to financial questions, they are eager to work and develop their professional abilities, not seeing a marriage as some obstacle on their way to building a career. Not less important is that women in Russia and Ukraine pay much attention to their appearance, they want to look attractive and classy in the eyes of their men.